Autism Spectrum Disorder (ASD) describes a set of behaviors associated with specific differences in how one’s brain perceives and processes environmental input. It is a “spectrum condition” that affects individuals differently and to varying degrees. 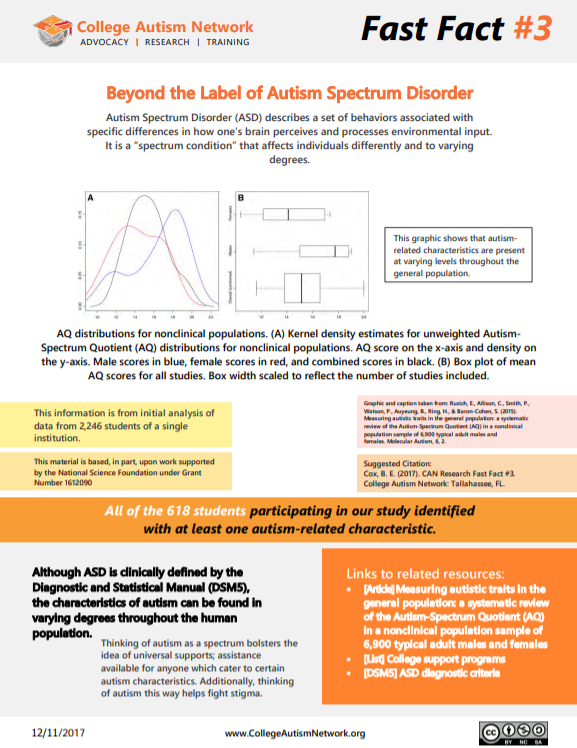 All of the 618 students participating in our study identified with at least one Autism-related characteristic.